Kick off your visit on the 2nd (Mon): contemplate the long history of Hakodate Museum of Northern Peoples, then contemplate in the serene atmosphere at St.John's Church Hakodate, and then take your sightseeing to a higher altitude at Mount Hakodate. Get ready for a full day of sightseeing on the next day: appreciate the extensive heritage of Motomachi, contemplate the long history of The Old Public Hall of Hakodate Ward, then don't miss a visit to Hachimanzaka, then take in panoramic vistas at Goryokaku Tower, and finally admire the landmark architecture of Goryokaku Park. To find other places to visit, ratings, traveler tips, and tourist information, go to the Hakodate tour planning app . Tokyo to Hakodate is an approximately 3.5-hour flight. You can also do a combination of train and flight; or take a train. In July, Hakodate is slightly colder than Tokyo - with highs of 26°C and lows of 22°C. Wrap up your sightseeing on the 4th (Wed) early enough to travel to Sapporo. Susukino and Sapporo Beer Museum are good opportunities to explore the local culture. 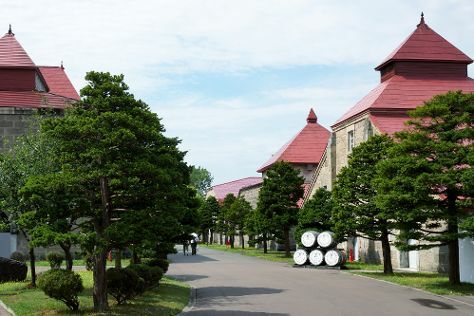 Explore the numerous day-trip ideas around Sapporo: Otaru Canal (in Otaru) and Nikka Whisky Yoichi Distillery (in Yoichi-cho). And it doesn't end there: steep yourself in history at Clock Tower (Tokei-dai), take in the architecture and design of Hokkaido University Sapporo Campus, ponder the world of politics at Former Hokkaido Government Office Building, and stroll through Odori Park. To see maps, more things to do, other places to visit, and tourist information, read our Sapporo day trip site . Traveling by combination of shuttle and flight from Hakodate to Sapporo takes 1.5 hours. Alternatively, you can fly; or drive. In July, plan for daily highs up to 26°C, and evening lows to 24°C. Finish up your sightseeing early on the 6th (Fri) so you can travel back home.